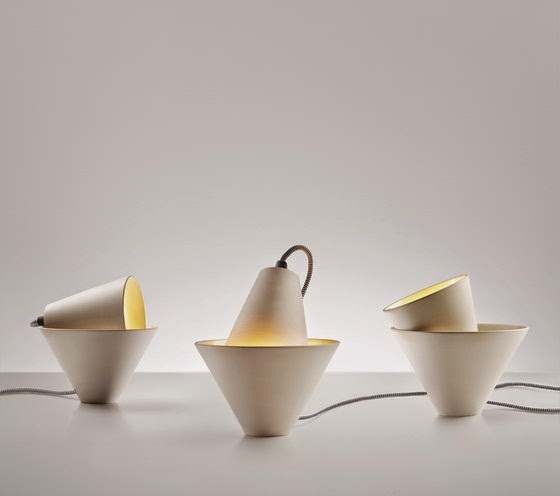 avant garde design: these mia lights. mia, the italian word for mine is appropriate here since the smaller of the two conical shapes can be adjusted to how you like it, making it yours, making it mine. 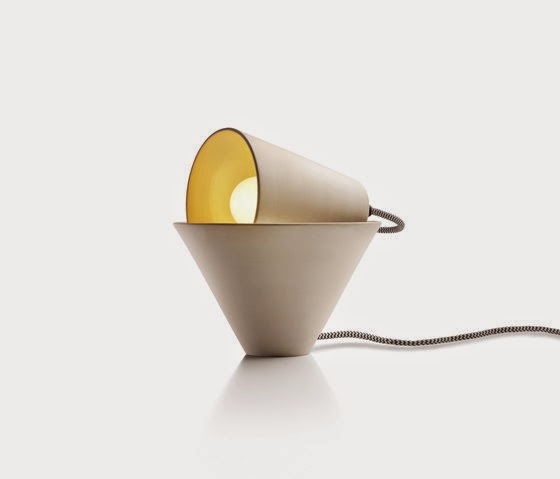 this simple design and lamp is more complex than first meets the eye. the ability to be customized to a variety of skews, to allow the light to be less or more direct is inviting and interesting. ooooh plus happy friday! i'm back from some rest and rejuvenation (much needed). i'll share a few pictures later today of sunsets viewed, a mountain climbed (well, almost) and the ocean appreciated throughout a nor'easter. gorgeous. enjoy! 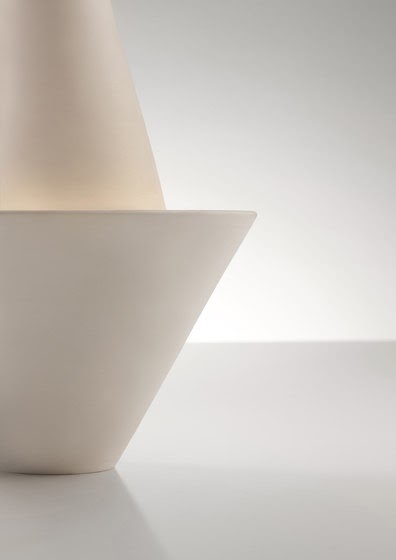 similar to: designers, everything...white, getting away, it's friday, just plain cool, lighting, lighting form, loving, the seasons, the weekend, unusual materials, what moves you?